Bothell, Wash., USA - November 06, 2017 - The Air Force Research Lab (AFRL) awarded Lockheed Martin (NYSE: LMT) USD26.3 million for the design, development and production of a high power fiber laser. AFRL plans to test the laser on a tactical fighter jet by 2021. The contract is part of AFRL's Self-protect High Energy Laser Demonstrator (SHiELD) program, and is a major step forward in the maturation of protective airborne laser systems. Lockheed Martin is helping the Air Force Research Lab develop and mature high energy laser weapon systems, including the high energy laser pictured in this rendering. The Air Force Research Lab (AFRL) awarded Lockheed Martin (NYSE: LMT) $26.3 million for the design, development and production of a high power fiber laser. AFRL plans to test the laser on a tactical fighter jet by 2021. A prototype turret developed by Lockheed Martin for the Defense Advanced Research Projects Agency and the Air Force Research Laboratory controls and compensates for air flow, paving the way for laser weapon systems on tactical aircraft. 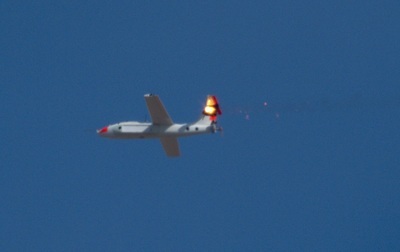 Here, a green low-power laser beam passes through the turret on a research aircraft. The contract is part of AFRL's Self-protect High Energy Laser Demonstrator (SHiELD) program, and is a major step forward in the maturation of protective airborne laser systems. In a live-fire demonstration at the Army’s White Sands Missile Range in New Mexico, a 30-kilowatt class laser weapon system developed by Lockheed Martin brought down five unmanned aerial vehicles with a 100 percent success rate. "Lockheed Martin continues to rapidly advance laser weapon systems and the technologies that make them possible," said Dr. Rob Afzal, senior fellow of laser weapon systems at Lockheed Martin. "We have demonstrated our ability to use directed energy to counter threats from the ground, and look forward to future tests from the air as part of the SHiELD system." A rendering of a truck mounted 60 kW laser weapon system for tactical U.S. Army vehicles. 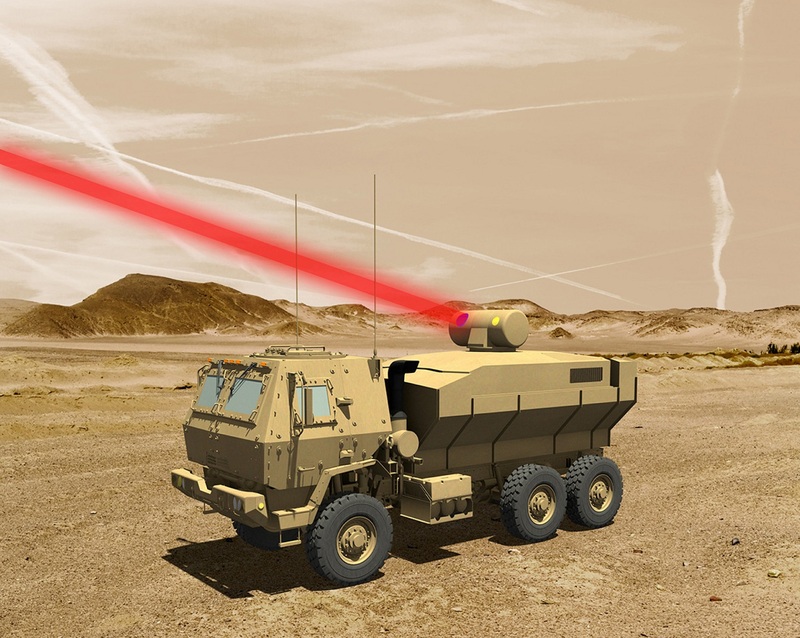 Lockheed Martin’s proven platform integration expertise includes the auxiliary technologies needed to field laser weapons systems on military aircraft, ground vehicles and ships. "Earlier this year, we delivered a 60 kW-class laser to be installed on a U.S. Army ground vehicle. It's a completely new and different challenge to get a laser system into a smaller, airborne test platform. It's exciting to see this technology mature enough to embed in an aircraft," said Afzal. "The development of high power laser systems like SHiELD show laser weapon system technologies are becoming real. The technologies are ready to be produced, tested and deployed on aircraft, ground vehicles and ships." Based in Bothell, Wash., outside of Seattle, Lockheed Martin Laser and Sensor Systems operates in a 69,000 square-foot facility dedicated to state-of-the-art laser research, development and manufacturing. The ISO 9001:2008 certified facility is equipped with Class 10,000 clean rooms and Class 100 assembly work stations. Lockheed Martin has more than 40 years of experience developing laser weapon systems. 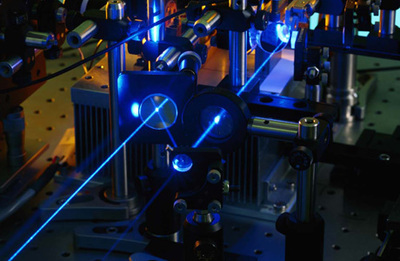 The LANCE contract leverages technology building blocks from internal research and development projects, including the ATHENA system and ALADIN laser, as well as contract experience gained from programs such as the U.S. Army's Robust Electric Laser Initiative (RELI) program.